First off, I must admit to a bias against the Private Blend Collection, which is Tom Ford’s extensive luxury fragrance line. I know perfumes like Tobacco Vanille and Oud Wood have a lot of fans but they have always left me cold. I can’t shake the impression that they are designed to fulfil aspirations rather than capture hearts or emotions. However, one of the three perfumes released in 2013 which I’m reviewing today did surprise me – and in a good way. 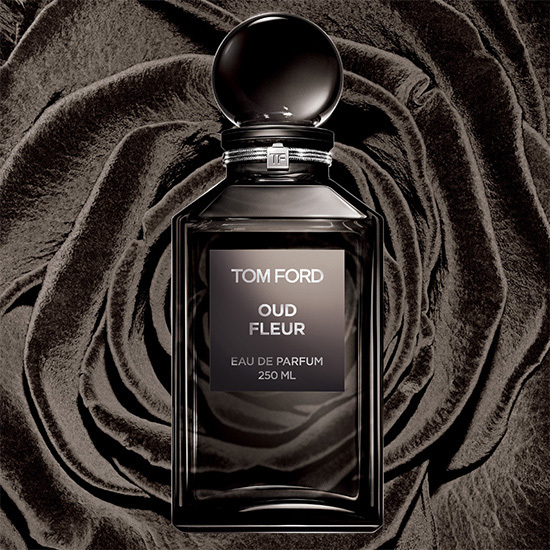 With a name like Oud Fleur I was expecting this perfume to be a rather feminine floral underscored by oud. This is more or less what I got eventually but to begin with it was all about very spicy, slightly sweet, oud tinged woods. The opening is quite boozy and fruity, no doubt owing to the presence of davana and tagette (marigold). Notes: oud wood, ginger, cardamom, cinnamon bark, pimento berry, rose Bulgaria, rose absolute Morocco, rose absolute Turkey, geranium, tagette, osmanthus, davana, date accord, patchouli, sandalwood, incense, styrax, cistus, leather accord, ambergris, castoreum. I’m not generally a fan of strong spices and I find they dampen down the rose and osmanthus a little too much during the first few hours. It starts of in the Tom Ford spicy/woody/oudy style but becomes quieter, sweeter and fruitier. Like many of its stable-mates it has depth, but doesn’t project the way you might imagine. Lasting power is very good, although it seems to fade away rather than bother with a distinct base. It’s certainly not one for the oud aficionados among us considering that note only has a minor supporting role. Shanghai Lily is a glamorous, retro oriental floral which manages to avoid feeling old-fashioned. It’s a full bodied, opulent fragrance featuring spicy notes, floral notes, olibanum, vanilla, bitter orange, pink pepper, black pepper, cloves, jasmine, rose, tuberose, vetiver, cashmere wood, benzoin, castoreum, labdanum, guaiac wood and incense. It’s not obvious from the list of notes but the clove dominates the top and heart along with the eponymous lily. The clove here is less medicinal and much more of a spicy carnation. This is not the cold, musty carnation we so often get in perfumery but the rich, seductive aroma of carnation essential oil. The lily is somewhat indolic but not to an off-putting degree. Shanghai Lily is a woman who has lived a life and lived it fully. Always made-up and always in heels, she is confident, alluring and more than a little knowing. Yet underneath the powdered facade of the 1940s screen siren lurks something altogether more intimate. During the drydown it gets animalic in the best way, with a nice contrasting backdrop of vanilla. There’s no clean or stabby musk, nothing faecal or nasty, just a deep, sensuous aroma that lingers for hours. For the very first time, I have encountered the kind of skank I can actually wear quite happily. While I may not spring for a bottle, this is a pleasant revelation and proof that perfume can always challenge your preconceptions. 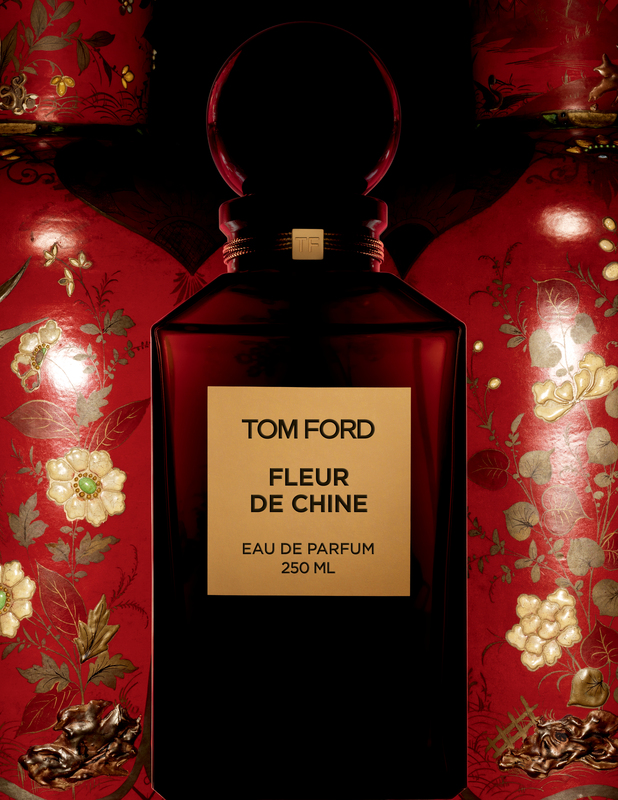 Far from transporting me to China as was the intention, Fleur de Chine immediately reminds me of classic French perfumery. On first spray there’s a bright white flash of aldehydes, leaving behind a trail of soap suds. Whereas Shanghai Lily wears her make-up like a mask to cover up her less savoury aspects, Fleur de Chine is scrubbed clean with nothing at all to hide. Impeccably turned out at all times with white gloves and a Kelly bag, she is the kind of woman you are in awe of but feel a little detached from. The notes feature magnolia, exotic floral notes, tea, clementine, white peach, bergamot, hyacinth, hinoki wood, plum, jasmine, tea rose, wisteria, amber, peony, benzoin, styrax, cedar and vetiver. Once the fizzy opening has subsided, the creaminess of the white florals comes through with just a dab of powder. It’s pleasantly airy with a nice touch of something fresh, which could well be a combination of the tea and fruit notes. While it has an assured elegance about it, there’s not much complexity and the base is generic fresh woods. This is not the kind of blandness you’d expect from the notes or the price tag. If retro, aldehydic florals are your thing, you may well be better off (not least financially) sticking to the classics this perfume is trying to mimic; namely Lanvin’s Arpege and Chanel No. 22. What has been your experience with Tom Ford’s Private Blend Collection? Any favourites? This entry was posted in By Tara, Fragrance Reviews, Tom Ford and tagged floral, Fragrance, Perfume, Review, Rose, Tom Ford, Tom Ford Private Blend. Bookmark the permalink. I saw that you were wearing one of these yesterday on Facebook and that you were reviewing today. I am now going to go back and retry my decants because you make them sound much better than I remember them. Maybe I was suffering frag fatigue when I tried them, as I tried them at a sniffy get together. I wouldn’t call them a must-sniff but it might be worth re-visiting with a clear nose. You’d have to like carnation to fall for Shanghai Lily but it is the best done of the three. I have to say I haven’t met a Tom Ford yet that I think is worth the money and I’d be very surprised if I ever did. My experiences are limited to one . I tried the Tabac Vanille or whatever and it made me feel über sick. I have no intention of trying any others. TF is not my scene. At all. Great writing though …. you nearly convinced me!! Ha ha! Don’t worry Val, you can happily proceed as normal. I wouldn’t say you’re missing anything. I’m not a Tom Ford convert but these were better than I expected. Tobacco Vanille didn’t work for me either. Tom Ford is a brand that I avoid. They might make the greatest lipstick, cool clothes and fantastic perfume, there is something about it that I dislike. This something stems from the advertising and the way the man himself presents his flawless Dorian Grayness in interviews. I will not buy a TF product if there are alternatives, and of course, there always are enough. Having said that, Shanghai LIly impressed me when I tested it at the Perfume Lovers meeting and I took a sample home with me. I’m kind of glad that it doesn’t last very long on me and therefore won’t tempt me. Sabine, I think Shanghai Lily has surprised quite a few people. Is it worth the price-tag, though? Not for me either. Tom Ford’s “flawless Dorian Grayness” did make me smile. Yes, skank is a rather strong word for what’s going on in Shanghai Lily but it’s the closest I get! Interesting to hear it comes across as more youthful on you. I didn’t react to it that way. Maybe you get more lily than carnation on your skin. I will be interested to read your take on Bonkers this week. It really isn’t worth the money in my opinion considering it just peters out and there’s little oud. I don’t think you’re missing out on much. 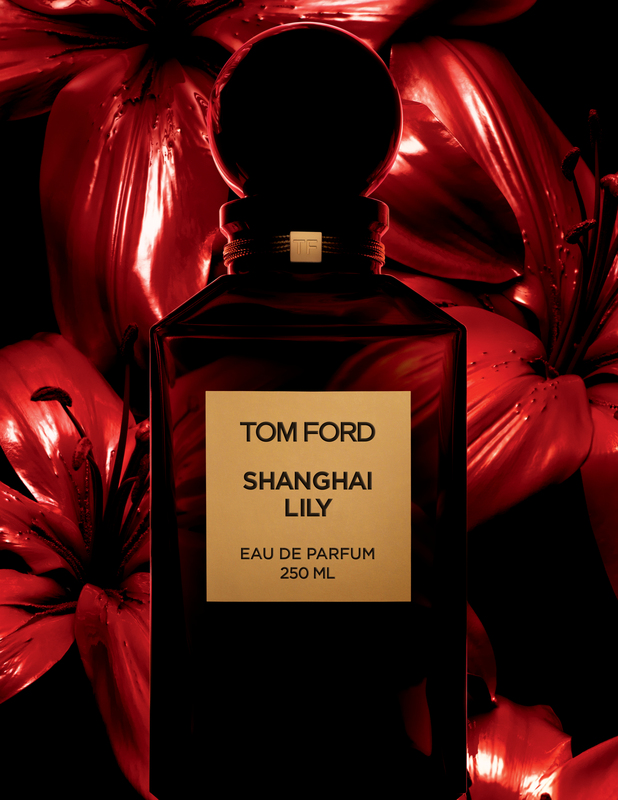 I’ve got a sample of Shanghai Lily and have yet to try it because Tom Ford is not a brand that does much for me. I’ve tried a lot of his scents and like you, they leave me cold. I love carnation though so maybe I should dig out that sample. poodle, if you like carnation then definitely give it a go seeing as you have the sample. Isn’t it funny how this Tom Ford line doesn’t appeal to quite a few of us? Carnation just smells so old school doesn’t it? I wish perfumes would represent it as more floral and less clove-like, the way the essential oil smells but it’s not bad in Shanghai Lily. I wouldn’t encourage you to go to the trouble of seeking it out though. I agree it’s interesting to try something you wouldn’t have normally. Good, bad or indifferent, you broaden your horizons. I am very guilty of staying in my comfort zone. I used to like a few of the line in the beginning (Oud Wood and Japon Noir e.g.) and I still think, the scents are well made and interesting. But now most of them are too overwhelming for me. The lack of subtleness and finesse is what bothers me. Nothing, I’d like to wear on a daily basis, but that’s the same with TF’s “regular” range. I agree Safran. Overwhelming is the word. Subtlety and finesse is much more me. The thing is, you’d expect them to last ages and have a strong base but that doesn’t seem to be the case – in my limited experience anyway. I suspect a lot of the cash goes upfront in order to catch potential buyers’ attention. I fall into the category of not knowing much about Tom Ford. Thank you for making them sound interesting. I tried Shanghai Lily and it had me running to see how fast I could scrub it off. I can’t handle his perfumes that well. Such a shame. Oh no Sandra, that’s not good! A Tom Ford habit would be an expensive one to have, so not much to regret really. Interesting reviews, Tara! I really like these three (my order would be Shanghai Lily, Fleur de Chine and then Oud Fleur) but I do like my florals! Have you tried Lys Fume from the Jardin Noir collection? I’m digging it at the moment. Thanks for the generous samples of these three, Thomas! Hope you didn’t mind me being critical too much. No I haven’t tried Lys Fume but I’ll look forward to your review if/when you do one. The Lys Fume may be appearing in a Guide to, very shortly…. Oooh great. Your “Guides To…” are the best. (BTW, his stick foundation is also excellent!). I also thought A Single Man was a great film and as stylish as you’d expect from TF. I love that you have a black tuxedo scent. These 3 aren’t your style so not surprised they didn’t appeal. B made the point about the adverts but I totally agree! I bet both the tuxedo and scent suit you perfectly. I am so excited about you and B coming over in March! I will admit to liking Cafe Rose, Shanghai Lily, and Plum Japonais- but not enough to submit to those prices or the whole TF culture. Connie, the whole TF aesthetic seems to be a turn-off for a lot of us and I agree that I’d have to experience true love to justify the price. So strange, when I tried Cafe Rose, it smell liked Blonde Violet with a coffee note added and when I wear Shanghai Lily, it smells like Blonde Violet with an incense note added. For the price, I will just stick with Blonde Violet. Katherine, that is strange but I think sticking with Violet Blonde is a good move. I’m with many other posters – I just cant justify the cost of TF’s perfumes when I don’t love them. There’s just something off kilter about him and the way he presents – the “Dorian Grayness” was spot on! That being said, I do like Shanghai Lily but not enough to spring for more than a sample. I haven’t tried the others and probably won’t based on the reviews here. Yes, your feelings mirror many others. I also find the huge line-up of those Private Blend bottles in store off-putting to start with. There’s so many of them and all looking identical. Maybe that’s a silly reason though. It looks like I’m in minority: I am a Tom Ford’s fan (as in pefrume line, I don’t think I like the man much). Perfumes that I like and wear (from decants, I don’t have any FB fromthebrand): Amber Absolute, Arabian Wood, Black Violet, Champaca Absolute, Fleur de Chine and Ombre de Hyacinth. Tobacco Vanille and Tuscan Leather are great on my vSO. Tobacco Oud and Fleur Oud from the latest collection are also nice – not sure, though, if I want to wear them. I need to test Shanghai Lily on my skin: on paper it was anunexpectedly nice lily… for the first five minutes – and then itcompletely disappeared. I did remember you’re a TF perfume fan and I’m glad you’ve commented. His fragrances obviously do have a lot of fans out there. I wonder if they tend to appeal to (and smell better on) men rather than women? The lily disappered on me after 5 minutes too. I think a lot lily fans will be disappointed with Shanghai Lily if they’re just going on the name. Tara, I feel much as you do about the Tom Ford collections-within-the-collection-within-the-collection. I mean, he has his normal collection, of which the Private Blends are a subset, and then he releases these subsets within that subset. They annoy me, and so my expectations are very low. That said, I did snag a sample of Tobacco Oud when out shopping with Undina, and have worn it a few times. I admit I was surprised that I liked it more than I expected from what I smelled in the shop. Not enough to buy it, and there are many oud perfumes I like much better, but it was pleasant. Ha ha! I know. I was going to mention that 2 of the above were from one collection sub-set and 1 from another, but I thought that would just confuse matters. I do think his oud perfumes tend to be more successful. I admit to being prejudiced against the Private collection as well. Ines, I’m impressed that you still take the opportunity to try them when you can, despite your reservations. I am very guilty of dismissing whole lines even when I have the chance to sample them. I’m grateful to my perfume friends for giving me samples because then do I try stuff I might not have otherwise bothered with.